The first performance of FAOPA’s community theatre group will be The Wedding Singer. The musical comedy set in the 1980s is all about struggles with relationships. The shows will be held on Friday, February 24, Saturday, February 25, Friday, March 2 and Saturday, March 3 at 8 p.m. There will be two Sunday matinees at 2 p.m. on February 26 and March 4. All performances will take place at the historic James McCabe Theatre located at 506 5th St. in Valrico. The performance of The Wedding Singer will include live music performed by FAOPA’s Rockestra Group. Tickets are $12 in advance and $15 at the door. There is a $2 discount for students, seniors and military. Auditions for the next production will take place on Friday, February 10 at 6 p.m. and on Saturday, February 11 at 11 a.m. at Music Showcase, located at 402 Oakfield Dr. in Brandon. “We are very excited about the next production. We were very lucky to get Legally Blonde,” said Director, Tammy Modica. “This is a brand new show. We will be looking to cast anywhere between 20 and 30 people,” added Modica. Over the summer, FAOPA is planning on producing a straight, non-musical during July and August. Be on the lookout for announcements about the show and audition dates and times. “Community theatre allows us to mix veteran actors with aspiring actors and allow them to form mentoring bonds,” said Pietrzyk. 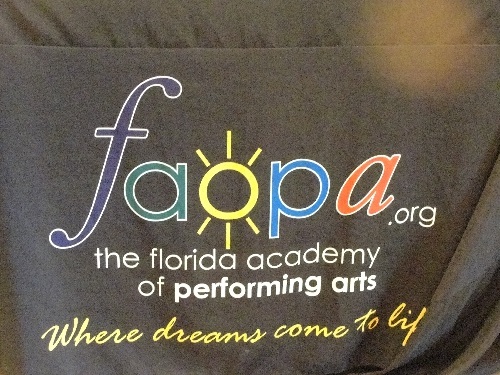 FAOPA is a 501(c)(3) non-profit whose mission is to support performing arts for all ages as well as offering scholarship opportunities to students as they continue their performing arts education. FAOPA is located within Music Showcase in Brandon. For more information, please visit faopa.org or call 490-ARTS(2782).